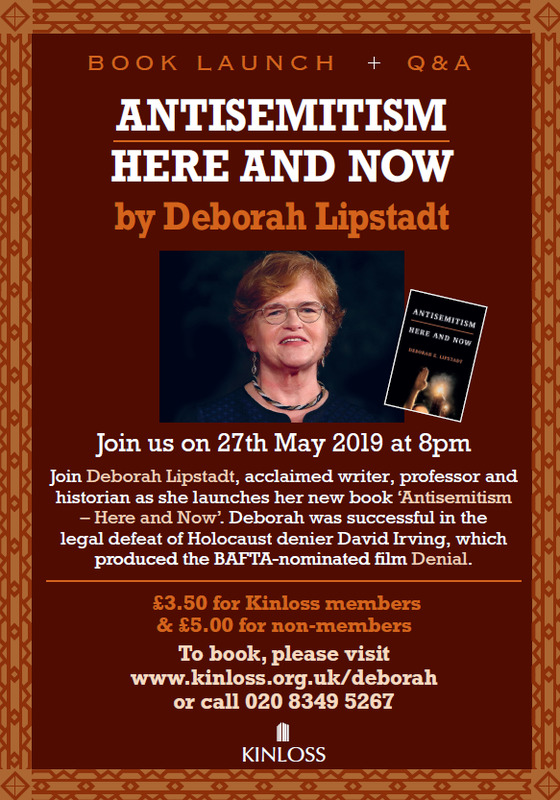 Join Deborah Lipstadt, acclaimed writer, professor and historian as she launches her new book ‘Antisemitism – Here and Now’. Deborah was successful in the legal defeat of Holocaust denier David Irving, which produced Nominee BAFTA film, Denial. £3.50 for Kinloss members and £5 for non-members.